Are there alternatives to taking Diamox at high altitude. Ian Taylor Trekking have put over 2,000 people into Everest Base Camp at 5,364/ 17,500 feet and have 200+ people trekking in the Everest region annually. We recommend taking Diamox from arrival in Kathmandu and all the way through your trek. You should always consult your doctor as Diamox might not be recommended for you. You should try it out before going on a trek. Diamox is a diuretic so you do need to manage your hydration carefully. It is always good to have a full health check up with your doctor to make sure you should travel to low oxygen environments. Are there alternatives to taking Diamox at high altitude. Yes there are. Ibuprofen is great for inflammation, headaches, pain, muscle pain at high altitude. Recent research suggests that Ibuprofen is proven to be very useful in low oxygen environments. The usual dose of ibuprofen is one to two 200mg tablets or capsules every four to six hours as needed. Do not take more than 2,000 mg of ibuprofen daily. Take ibuprofen with food or after meals if it seems to bother your stomach. Ibuprofen does gets absorbed by the blood stream much faster than Diamox making it a quick acting drug. For 15 years I have always taken Garlic supplements when I go on high altitude treks and climbs. Garlic does have natural properties that help you when suffering from Acute Mountain Sickness (AMS). Your blood is getting thicker at high altitude. Garlic thins out your blood so you can take one capsule per day while you are trekking. Have Garlic soup regularly while on your trek. I have personal make 8 treks on the Inca Trail to Machu Picchu. Our staff in Peru swear by it and research suggests it actually works. I usually drink coca leaf tea. I put leaves in hot water and get the hydration along with the homeopathic rewards. You can buy coca leaves in the US and around the world. Research from an Norwegian University suggests “It may be the extra boost your body needs to deliver enough oxygen to your tired muscles and keep you healthy when you are climbing a high mountain.” Drinking beet juice before climbing a high-altitude mountain or even right before a regular workout can improve your blood vessel function, and deliver oxygen more quickly to your muscles. High altitudes have a powerful effect on the human body. 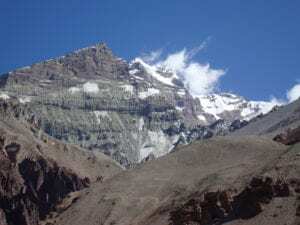 Due to thinner air and lower oxygen that high up, we experience altitude sickness, feeling fatigued, short of breath, and sometimes even nauseous. Over time, our bodies will acclimate to high altitudes, but it can take days, weeks, or even months. If you want to climb a mountain and you’re willing to power through the altitude sickness, researchers are now suggesting to bring some beet juice with you. They found it to provide health benefits in low oxygen environments. At high altitudes, our bodies are less likely to produce enough Nitrate Oxide, so our bodies need plenty of oxygen. That’s where beet juice comes in; it’s packed with nitrate, a compound that the body can use in low oxygen environments. No warm in trying it out. On our treks to Everest Base Camp, Kilimanjaro and Machu Picchu we spend more time acclimatizing. An additional 24 hours of producing more red blood cells to carry more oxygen around the body is critical. We have 3 nights at 3,500m/11,500 on our Everest treks. 8 days is needs for a safe Kilimanjaro climb. Extra nights are needed around the 4,000m mark before going higher. We have 2 nights in Cusco at 11,152 feet before even going onto any of the Inca trails in Peru. Extra acclimatization is critical for a safe and successful experience going to high altitude. I have climbed Everest to the top and climb around the world on a regular basis. So it is most important to pick the right itinerary. We have so much more information. CONTACT US today for more info.